With heavy funding, built in profits and endless variety, subscription service startups are the hot new thing. Subscriptions tend to range from USD $9-25/month and we’re seeing everything from healthy snacks and premium coffee to deluxe makeup samples and even undershirts. It’s an affordable luxury and it’s catching on fast. Here’s the best part: Monthly subscriptions have existed for decades. Ever since I can remember, my Aunt gifted my family with monthly subscriptions (like this Citrus food of the month club), so what’s the difference? Besides the startup energy, it’s the boutique and purpose driven nature that sets these services apart. Here’s a look at our favorite subscription startups. The real benefit: Subscribers get an endless way to try before they buy, all while enjoying luxury samples on the cheap. Later on, customers can purchase full versions of their favorites without leaving the website. For a deeper look, read about the ladies behind birchbox: 2 Harvard MBA’s, 1 brilliant business model. Healthy food is in high demand, but many people live the same lifestyle: You love to eat healthy, but can’t find the time to obsess over nutrition. Lollihop sends out a monthly taste box of healthy snacks, curated for your lifestyle. But how does Lollihop help you eat healthier? For the average person, snacking accounts for more than 25% of their daily calorie consumption. Not only do [lollihop’s] snacks help maintain a proper balance of energy throughout the day (so you don’t give into cravings), they also supplement some basic nutrients that you likely miss out on. What Lollihop offers is curation and convenience for those who want to eat better. Our team of nutritionists screen, select and taste test every snack that goes into our box, and we deliver the best picks directly to your door. Coming soon, Lollihop will have a Hunch-like personalization element that will ask you simple questions like, Are you a vegetarian, vegan etc. When you wake up in the morning, how do you feel? What kind of sleep are you getting? Working with a nutritionist, Lollihop will be able to better recommend snacks and offer tailored health content to suit your needs. Bluum is the newest way for moms to discover and test products each month. Their job is to sort through the overwhelming amount of choices for baby, beauty and wellness products, sending you snippets of the best of the best out there. Once a month, Bluum sends a box containing 4-5 deluxe product samples like organic skin care, lip balm, stretch-mark cream, small toys, snacks and baby wipes to member’s homes. In the convenience of home, moms can try the products and leave reviews, which earn them store credit that they can use to purchase full-size products. See our full story on Bluum here. Craft Coffee is exactly what every coffee lover needs to get up in the morning. 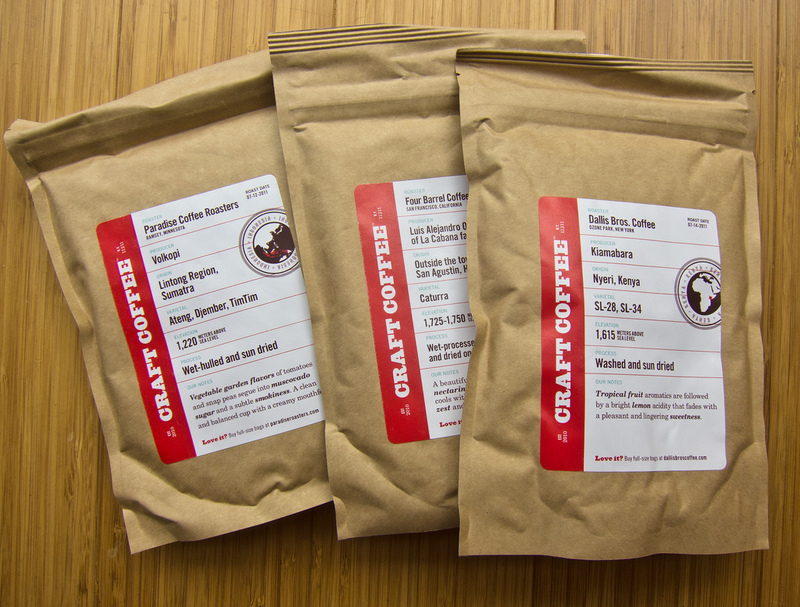 Subscribers get 12 ounces of coffee each month from 3 different roasters. Their emphasis is all on the experience they provide. [Craft Coffee works with] top coffee industry professionals (think wine sommelier but for coffee) to evaluate literally dozens of coffees from the very best roasters in the country. Only our three top picks make it into your monthly box. So everything you receive is the best of the best. Guyhaus puts “your bathroom on auto-pilot in 3 easy steps.” Shopping is fun, but repetitively picking up your necessities at the convenience store is a bland ritual. This is where Guyhaus comes in to automate everything for you. They offer monthly refills of shampoo, deodorant, razors and more. Check out on how Guyhaus makes shopping simple and “magical” for guys. Like Guyhaus, Hoseanna’s goal is to automate necessities. Their service lets busy women order monthly must-haves’ straight to their door. With a few clicks, Hoseanna customers can curate a monthly set of pantyhose, intimacy, feminine care, health and beauty. Read more here. Though I hate to throw two different startups into the same group, Hoseanna and Guyhaus are the perfect storm for couples. Pair them together and you’ll always be well stocked for your daily needs and prepared for a night out. With all these subscription services blowing up, one startup is determined to make it easier to start your own: Memberly. Over time, it looks like Memberly could become the perfect place to find and manage multiple subscriptions. Memberly’s Jack Cheng says and a handful more subscription services are launching this month. Memberly has already launched 5 startups, including Steepster Select (monthly premium loose-leaf teas) and the Sababu Undershirt Club (socially conscious clothing created to bring hope to the people of Mali). There are other tools available to help bring subscription services to life (like Recurly), but nothing else out there kickstarts your process like Memberly. This idea is spreading like wildfire. There are tons of other subscription startups that have yet to be mentioned, like Babbaco, Blissmobox, Test Tube, Put This On, Paleo Pax, Little Otsu and the un-launched Sweetbox’d (disclaimer: I’m close with the founder). I’m betting that more and more companies (including copycats) will start getting in on the subscription action as these startups grow. Do you think this trend will last, or will it fizzle out? Let us know in the comments!